It’s probably clear to many of you by now that I have a great deal of sympathy for the Ancient-Future path as a hopeful way of revitalizing evangelicalism in this post-evangelical era. But I’m afraid people may have the wrong conception of what I’m talking about when I refer to the Ancient-Future path. I understand some of the confusion, because those who talk about it (including me) make regular reference to such things as historic churches, liturgical worship, and other traditional practices. It’s important, however, to realize that there is no single uniform way of walking the Ancient-Future path. For Robert Webber, it meant leaving free church evangelicalism and becoming an Episcopalian. Dr. Thomas Howard joined the Roman Catholic church, while John Michael Talbot became a Franciscan monk. Peter Gillquist and Franky Schaeffer found a home in Eastern Orthodoxy. On the same path, Thomas Oden has remained a Methodist and D.H. Williams continues to practice his Baptist faith. Michael Spencer, our beloved iMonk, remained a Southern Baptist, but struggled with regard to his true church home. He continued to teach in a Baptist school, minister in Baptist and Presbyterian churches, attend Anglican services whenever possible, and maintain an appreciation for Thomas Merton, all while advocating a return to the “broader, deeper, more ancient, more ecumenical church” through Internet Monk. There is no single uniform way of walking on the Ancient-Future path. That is because “Ancient-Future” is not a formula. It is a mindset. It is a different approach, a different way of looking at what it means to follow Jesus as his church. In general, evangelicalism does not have the same perspective. When people take to the Ancient-Future path, they are embracing an alternative point of view, not just certain practices. I would like to present some clarifications here today so that we can look below the surface of the Ancient-Future way and understand some of these more fundamental perspectives. 1. Ancient-Future is not about “older is better”. Rather, the perspective is this: we should respect the wisdom and practices of those who came before us and continue to draw strength from them, while at the same time being open to new leadings of the Spirit. And while older does not necessarily mean better, it may mean time tested. Many who walk the Ancient-Future path are longing for the kind of solidity that proven ways provide. 2. Ancient-Future is not about being “high church”. Proponents may sometimes give the misleading idea that this path is all about ornate sanctuaries, vestments, incense, stained glass, and priests chanting the service. Although aesthetics and formality are attractive to many on the path, they are not necessary. The simplest worship service before the most unadorned altar may be informed by the Ancient-Future perspective. Think Paul and Silas in prison, Roman Christians in the catacombs, the testimonies of the martyrs, the poor who receive the sacrament in villages all around the world. 3. Ancient-Future is not about being liturgical vs. non-liturgical. Ancient-Future types believe that liturgy is the means by which we worship God. Furthermore, they understand that everyone has a liturgy. The Baptist pastor of my youth would have been appalled had anyone suggested his church was liturgical. But every week, he simply took the bulletin from the past Sunday, crossed out the specific hymn numbers, texts, and sermon topic, and wrote in new details for the next Sunday. Everything stayed in the same order. Once a month he added communion. We were as strict and standardized as any Mass. Most “contemporary” churches claim to be “free,” but that has not been my experience. Those on the Ancient-Future path are not seeking liturgy in contrast to non-liturgy. They are seeking better liturgy in contrast to insufficiently thoughtful and purposeful liturgy. We are nothing short of idiots for getting rid of [hymnals], and I choose that word carefully. Who in the world decided that we would throw out two thousands years of worship because it didn’t fit in with our current plan to sound like the secular music of the last 40 years? Good grief, what a demolition job this has been. I know a lot of young people “like” the new music, but we have a responsibility to those who came before us, not to prefer or like what they did as much as they did, but to use it with respect and honor for the value that is in it. Handing the entire musical and lyrical heritage of two millenia of Christianity over to a “worship leader” to be eradicated in favor of contemporary music only is insane. A mature Ancient-Future perspective seeks a more appropriate balance. In the end, it is not about contemporary vs. traditional. It’s about honoring the heritage of our family, including and celebrating the time-tested music, hymnology, and worship forms that teach us about Christ and his work through the ages, and mixing in the best new music and creative liturgical practices. 5. Ancient-Future is not about ceasing to be Protestant (or…whatever). You and I don’t have to become Roman Catholic or Eastern Orthodox, join a monastery, or accept a certain understanding of the Eucharist in order to walk the Ancient-Future path. To be sure, some have come to the conclusion that the only logical choice in the end is to join “the one true church.” And I will suggest below that our theological perspective may need to change, but this does not mean that we must abandon all conviction in favor of some mushy ecumenism in order to embrace our heritage in the “one holy catholic and apostolic church”. If these characteristics do not define the Ancient-Future way, what is it all about? Once again, this does not mean we have to give up the distinctive perspectives and convictions that inform our own traditions. We may well disagree with our brethren on matters, and some of these may be significant matters! Do you know any family in which this is not true? However, the basis of unity with our fellow Christians in all traditions runs deeper; it lies in Christ, the Christ we confess through the apostolic teaching summarized in the ecumenical creeds and in the consensus wrought by the Holy Spirit from the earliest centuries of the church concerning our faith. 2. Ancient-Future is about maintaining a vital, organic, respectful connection to our Christian history and heritage. Evangelicalism and contemporary evangelical churches have, by and large, cut themselves off from their family history. Their roots are shallow. It is, as Michael Spencer named it, “The Church of What’s Happening Now.” What’s happening now is not unimportant, but unless we have some historical perspective, how can we properly evaluate it? The Church Fathers come already vetted by centuries of thought, discussion, and (yes) Holy Tradition. I can read them through the filter of the long history of the Church, through the filter of the generations of holy bishops (and even some unholy ones), through the filter of the hierarchs that are over me today. But, even back then, when they were yet to be Church Fathers and were only bishops and priests trying to explain the faith, they did not rely on “moves of the Spirit” but on Scripture, prayer, reflection, fasting, consultation with their fellow theologians, and even on the counsel of the Church as expressed in Holy Council. Only at the end of the process would they use phrases like that found in the Book of Acts, “It seemed good to the Holy Spirit and to us . . . The words of the prophets are in agreement with this, as it is written. . .” And so, I can also read Scripture through the same long history of the Church, and while I learn “new” things, I always seem to find out that they are very “old” things. The Ancient-Future path seeks to maintain a vital, organic, and respectful connection to the past — that is, to realize that what the Holy Spirit teaches us today is linked to what he taught people in the past. Ours is a living tradition of a living Word spoken to people by the life-giving Spirit. 3. Ancient-Future is about restoring a robust doctrine and practice of the church and her authority in the life of the faithful. In the final analysis, for evangelicalism the church is important but optional. It is commonly presented as one of the helps God has given so that individual believers can grow in their faith. In our consumerist culture, church is what I shop for and choose according to my style preferences and felt needs. Church is the family-friendly religious activity center for all ages. Those on the Ancient-Future path long for more. They long for the family of God, a family into which we are born, in which we are nurtured, in which we grow, where we reenact the family story, learn to live by the family rules, where we learn from the wisdom of our elders and treasure our heritage. It is not simply a place where people who like each other get together for convivial fellowship and activities. It is where we belong, whether we want to or not, whether we agree with everything or not, whether it’s designed to “meet my needs” or not. To use Robert Webber’s language, it is the community in which we are confronted with divine mystery and transcendence; where we participate in genuine worship through the living Word and sacramental reality — God with us in human flesh, leather and paper, bread and wine, water and oil; the home in which we discover our “roots” — our family heritage from Abraham to the apostles, from the earliest church fathers to today’s saints; and the school, library, and workshop in which we are taught a purposeful path for spiritual formation. The church is the living corporate reality in which we, as believers in Jesus, live and move and have our being, not the club with which we choose to associate. 4. Ancient-Future is about practicing liturgical wisdom and integrity in our worship. As mentioned above, every congregation has a liturgy by which they worship. Evangelical services are known for music designed to stir the emotions followed by preaching/teaching designed to lead listeners to a decision. This is the revivalist liturgy that is about 200 years old. The basic form of the traditional liturgy is different. Though specific elements may vary in different incarnations of the liturgy, the church’s worship has been defined traditionally as “Word and Sacrament.” Therefore, the liturgy is comprised of two primary sections: the Service of the Word and the Service of the Table. The beginning of the service, prior to the Word, is a time of gathering before God in praise, confession, and prayer. The ending of the service, following the Table, is when we receive God’s blessing and are sent into the world to share the Good News. For those on the Ancient-Future path, this order is attractive. Whether it is worked out in an elaborate high-church service with a multitude of elements and formal style, or in simple fashion without a lot of accoutrements, the service focuses on Christ and the drama of redemption. Every Sunday, God’s people are immersed in the Gospel through the liturgy, which begins with acknowledging the worthiness of God, then confessing our sins, then hearing and responding to his Word, then receiving grace afresh at his table, and finally being sent into the world empowered by his Spirit. There is no single uniform way of walking on the Ancient-Future path. But there is a path. On it, many are finding great hope. This approach “ancient-future” seems faddish to me; in fact in some regards it seems like the logical conclusion (one of them anyway) to “Evangelicalism.” Viz. the “religion” that orbits around self-fulfillment, which lends itself to a smorgasbord spirituality wherein we seek “expressions” that meet an emotional sensation; but an expression that is not necessarily grounded in its tradition. In other words, in many ways, it seems that “AF” only sees the various historic traditions as a means to a “personal” end (pragmatic); instead of an appropriation that is funded by a belief that is grounded in a genuine belief that any particular “expression” is in fact substantial and “true.” In short: this movement seems very utilitarian and situational to me . . . but that’s just me. Respectfully Bobby, I do not agree with your conclusions of today’s posting. You suggest AF is “faddish” and yet it is “a logical conclusion”. You refer to self-fulfillment, yet while “self-fulfillment” may be associated with some contemporary worship expressions that are focused on relevance, there’s not much about the Ancient-Future path described in this posting that is focused on the individual. In fact, one of the AF characteristics most often expressed and evident in all of Webber’s writing was a focus on Christian community; the giving of oneself to God’s purposes, not ours, and to others instead of self. Further, while contemporary veins may seek to reduce and rationalize God, Ancient-Future Worship celebrates and acknowledges the transcendent and numinous nature of ‘The Triune God. As someone who has been involved for a decade in AF, there is nothing about the Ancient-Future path that could reasonably be called “utilitarian” – no one tries to ‘make it work’. Nor is there any likelihood of being rightly labelled “situational”. Rather, those on the Ancient-Future path treasure what spans the ages and circumvents the globe because such things are valued – and these things are part of what mitigates the human tendency to succumb to a view shaped by our current situation – whether based on location or time. I would encourage you to get involved with some community on the AF path. If your conclusions are based on some prior AF experience, I’d recommend inquiring and exploring elsewhere. Thank you for the reply. Webber came to my school once, for a “scholarly lecture” series; and I agree with you, his intention was anything but “faddish,” and I would say that the “weight” and substance of his years of study was the thing that protected him from this phenomenon. Nevertheless, culturally, or maybe in “AF’s” appropriation I see it as a trendy thing for “many” (maybe not all). My point on “logical conclusion” is related to the idea where I see PoMo emergent churches (wherein I’ve seen AF most appropriated) as the “logical conclusion” to Fundy/Evangelicalism which, anthropologically — and philosophically — is grounded in a pietistic ethos that starts with an orientation to self (or think individualism) rather than a koinonial understanding of the person (theologically). In other words, as PoMo is the logical conclusion to Modernity; so Emergent/AF is the logical conclusion to Fundy/Evangelicalism — that’s the way I see it, sorry. What “tradition,” in particular, does AF draw from (i.e. Eastern Orthodox, Roman Catholic, Coptic, Reformed, Lutheran, Anglican)? My concern with AF, as I understand it, is that there is this ecumenical spirit that apparently transcends the distinctiveness of the various historic traditions w/o attending to the very things, theologically, that make all of these “historic expressions/traditions” what they are. So I see an appropriation in the name of AF that says its concerned with the Ancient w/o really considering what has shaped these various traditions theologically (as if they are just relics or symbols of the past that can be appropriated apart from their special points of theological import and intention — i.e. relative to why the various traditions from the past instantiated in the first place). Anyway, I find AF, contrived; and I’m serious, I’m not just trying to be argumentative. That’s clear, Bobby. Thanks for explaining in greater depth. I think I agree with you sufficiently to be cautious about the enthusiasm for AF, although I would be very happy if more people rooted themselves in Christian tradition. I’m reminded of someone I know who longed for a more connected, rooted life and joined a “feudal” society. She went through a series of solemn ceremonies, swearing fealty in a properly feudal way. I saw her again after a few months and asked how the society was. “Oh, I quit,” she said. “It really wasn’t what I needed right now, and it took up a lot of my time.” Her casual attitude showed a complete lack of understanding of feudalism, which no one ever quit because it wasn’t fulfilling. Perhaps this is an example of what you mean when you talk about appropriating traditions and considering them out of context. The traditions for them are like clothes you can put on and take off, rather than like muscles trained to a particular shape by a lifetime of practice. Thank you. That is exactly what I’ve been trying to get at. I really wouldn’t have an issue with this if it entailed “converting” to particular traditions, because “said” convert was convinced of the “tradition’s” appeal relative to substantive doctrinal/theological agreement; but this isn’t the sense I get with AF, it seems too casual; it just seems like a trendy thing to do (I know of some people, who aren’t Jewish, who are enthralled with the Messianic church culture — this is understandable at a level — but these folks are taken by this “movement” more because they like the “culture” vs. any kind of doctrinal affiliation or teaching). Anyway, thanks for sharing and providing your example, that is helpful! This reminds me of a conversation I had with James Houston at Regent about 10 years ago. He was glad to see an openess to spiritual formation, spiritual direction, etc. in the protestant churches in the U.S. His concern, however, was that the church would try to turn it into a powerpoint presentation that we could conveniently add to our already extensive menu, rather than being immersed and formed in the Life these practices pointed to. OK. That makes more sense. I can say that in my experience and observations, it’s hard for a serious trek down the Ancient-Future path to NOT end at one of the older traditions. Independent congregations doing independent things doesn’t really seem to work out in the long run (remember Webber and the house-church they attempted). One of the features of AF is that it almost requires a greater ecclesiology that doesn’t really work in independent churches who have no tie to something bigger. That said, there are aspects of AF that can even be applied in those independent churches, such as the four-part worship that Chap (and Webber) talked about. No matter your tradition (or apparent lack thereof), a bit of intentionality in worship can do wonders. Also, while I can’t speak for all the traditions, I know that there is a significant swath of Catholicism, Eastern Orthodoxy, and Anglicanism that really wants a full reconciliation back to a unified Church that we see pre-9th-century. That’s a long, hard road, though. There has been some interesting developments with that recently. Last year, I believe, there was a Catholic/Lutheran conference in which they realized that their disagreements on justification were mostly semantics. Also, both the Misouri Synod Lutherans and the Orthodox Church of America have made overtures to the Anglican Church in North America to start discussing what it would take to move toward full communion. Then there’s the Anglican Ordinariate that Pope BXVI introduced that allows for Anglican parishes and diocese who want to come into full communion with Rome to do so while retaining a liturgy based on the Anglican tradition. In all of these cases, we’re still waiting to see how it works out, but there is this realization on some level in all cases that being fragmented is not good and that it would be better to be unified like our Fathers were. I looked at the Lutheran/RCC thing when it was happening; I don’t remember all the nuances, but I do remember when looking at the language there was more than semantic difference going — although, as I recall, that was the claim of both parties. To digress, a bit, your point on the apparent unity of the Patristics just isn’t accurate at all! In fact deep doctrinal strife was the hallmark that shaped that era of theology; thankfully, because of said strife we have the “ecumenical” creeds today. But this really is off topic from, I just wanted to note that “Golden Age” thinking about the early church is just that. I also wanted to say, Isaac, that I really do agree; fragmentation and schism is not the ideal, nevertheless, given the “human nature” of the church (in it’s broken state) my guess is that this side of Christ’s 2nd advent ecumenism is pie in the sky — at least given the typical terms that has shaped this movement thus far. If Christ becomes central to any tradition, then I suppose an ecumenism may be viable; but only insofar as the implications of His life for the Church are taken seriously (I would imagine though, given the fact that sectarianism has indeed been at the core of many a tradition — including Roman Catholics/EO — that these kinds of ecclesiological concerns will always subvert any meaningful moves towards ecumenism [even if we are “saying” that we are taking Christ seriously — we all think that]). Anyway, I’m talking myself into a circle . . . hopefully not to the point of incomprehensibility. The Lutheran/Catholic thing is the Joint Declaration on the Doctrine of Justification, from about ten years ago. There is less there than meets the eye. It relies on subtle ambiguities so that both sides can agree on the same words without necessarily agreeing on what these words mean. In any case it is a dead letter. No one changes any practices because of it. It is really a holdover from the ecumenicism of a half century ago: a testament to institutional inertia. The negotiations had gone on so long that they needed to produce something. And by no means do all Lutherans accept even this watered-down ecumenicism. The Missouri Synod certainly does not. I am skeptical of any claims about rising ecumenicism. There are some realignments going on, but no flowering of broad unity. The Missouri Synod is talking to the Anglican Church in North America? The LCMS is notoriously reluctant to associate with other church bodies. What might induce them to relent here? What do the LCMS and the ACNA have in common? Well, the ACNA was pretty much founded on excluding gays, and to a less extent keeping women out of the clergy. The LCMS agrees with those positions. This isn’t ecumenicism. It is the-enemy-of-my-enemy-is-my-friend. Pope Benedict’s Anglican Ordinariate isn’t even that. It is an unsubtle membership grab. I doubt it will get many takers. Canterbury doesn’t have anything like the power over Anglican establishments as Rome does over Catholic establishments. Few dissenting Anglicans are likely to be attracted by the loss of autonomy, and anyone really attracted by Rome could have swam the Tiber long before now. The manufacture of nostalgia is a deeply political act. Whenever it appears, we have to ask what reforms it is attempting to suppress. This “ancient-future” rhetoric amounts to an attempt to elevate one preconceived vision of Christianity over other, otherwise equal opinions, by applying to it the patina of antiquity. The notion that there exists “substantial agreement between the traditions of East and West, including Catholic, Protestant, and Orthodox” is arbitrary (well, politically motivated) and deeply unfair. Catholics and Orthodox never talk this way–they have their own ideas of Tradition. And not all the Protestants are treated equally in this, either. The Jesus movement, whatever it was, would have been utterly different from the “proto-Orthodox” imperial Christianity of several centuries later that imposed itself on believers and unbelievers alike. The popes and patriarchs of the received tradition, having seized their power through political means, deserve neither our assent nor our allegiance. The early creeds–which loom large in your identification of a “deeper consensus”–are instruments of condemnation, with each line designed to exclude a rival tradition (many of which still exist, and have been “received…by believers of vastly different cultural settings”). To accept the legitimacy of such pronouncements, or the canons formed around them, is to bow before naked power. Today, many New Agers have become attracted to the ancient forms of Gnosticism. But you do not hail them as fellow seekers, because (I surmise) you have already decided that the one is as heretical as the other. Very likely Christ’s own teaching would turn out to be equally foreign. Buford, do you really think that there is not substantial agreement between the traditions of East and West, etc.? The Bible and, yes, the Creeds form a common foundation to Christians in all three of the great strands of tradition. These things are part of the definition of the word Christian. If they don’t form a common foundation, if these groups have little in common, then do you think that one or more of these strands is not Christian? Those three traditions which you (and others) selectively identify as somehow representing the “essence” of Christianity, have certain things in common (such as a couple of creeds), and other things not (such as their understanding of the church, salvation, etc.). The same could be said of almost any comparison between traditions, though of course some are related genealogically. The temptation is to focus only on the largest and most politically powerful denominations (as if the loudest voices were most likely to represent God). Buford, if you look at the entry “paleo-orthodoxy” on Wikipedia, there is a good (though obviously simple) diagram of the “streams” of tradition. Ultimately, there are four: (1) The Assyrian Church, (2) Orthodoxy, (3) Roman Catholicism, (4) The Reformation Churches. If you want to separate out the Anabaptist traditions, that would be (5). Golly gee, Buford. Sounds like you’ve read a couple of favorable reviews of “The Da Vinci Code” but you’ve managed to miss out on the leading scholarly historians of the New Testament and the early church, folks like NT Wright, Marcus Borg, and EP Sanders, who would disagree with — dare I say disprove — much of what you claim. I also detect self-righteousness in your tone and rhetorical overkill in your prose style. Guilty on the last count! It probably comes from hanging around religious people too much. Darn, Buford, you got us! Yes, indeed, Opus Dei is a secret organisation of albino assassin monks under the direction of the Cardinal Camerlengo who knock off all those who reveal the Secret Teachings of the Divine Feminine that we evil power-mad Papists have been suppressing since the first century. Which is why Mike went to great pains to insist that he's talking about something different than that. He's talking about valuing what's best and most eternal about two millenia of Christianity. He's talking about the Church, "Spread through all time and space and rooted in eternity, terrible as an army with banners." I appeal to all subsequent posters in this thread to leave the first two grumpy replies alone. Don't let them set the tone foe the discussion, but respond to Mike's excellent article. It almost seems as if you’re saying that there should not be anything that’s considered orthodoxy or anything considered heresy. At that point, it seems to me that you quickly come to a place where you say, “I”m OK, you’re OK”. The one thing that is at the heart of the creeds is the who Christ is, both historically and by nature. To me, it seems perfectly logical that Christians should have a basic agreement on those issues. Gnosticism, for example largely denies the historical person of Christ and turn Christianity into a mystery religion. It’s no wonder why it has been rejected throughout history. A good book that discusses how many of the creeds came to be and Church history in general is Roger Olson’s The History of Christian Theology. I found it cleared up a lot of misconceptions I had. I think I said pretty clearly that our unity lies in the “creedal consensus,” didn’t I? Yes, I thought you were perfectly clear. My response was to Buford’s comment, not your original post. I should have quoted him to more clear. Sorry about that. That’s the lie, right there. The “ecumenical creeds” you have in mind do not stem from the “earliest centuries” of Christianity. And while it is hard to rule out the influence of the Holy Spirit, we can certainly rule in the influence of politics of the worst sort. The “consensus” you allude to DOES NOT EXIST. And yet who has the authority to determine who is a Christian or not? In the days of Unified Christendom, the Church had the authority, but today I can’t think of a lot of people who would consider the Oriental Orthodox not to be Christians. If the LDS are going to claim to be Christians, I’m not going to argue with them because they’re not in agreement with Chalcedon any more than I’m going to refuse to call the Oriental Orthodox Christians. The creeds were meant to clarify just what Christians believed. You can practically hear the lines being drawn with each line. A fun game is to try to guess which sentence applies to which heresy. Was there a heresy that denied that the Almighty created the heavens and the earth? I think there was one, that believed that matter was created by a different, lesser deity. Those lines though, were made for both theological as well as political reasons. But even if you accept that all these potential critiques of orthodoxy are true, you still have a dilemma. Unless you are willing to advocate endless variations in your religious belief system and do not feel you need a way to transmit your beliefs reliably to your children, grandchildren, and great-grandchildren, you are pretty much stuck reaching some kind of judgment and exercising power. That means excommunicating people or at least censuring some views as heterodox. The experience of the early church and the contemporary church both demonstrate that giving every individual the same data and telling them to draw conclusions won’t guarantee agreement: you will immediately get distension and chaos, and you will have to reign that centrifugal energy in somehow. It’s not hard to see why there were creeds and councils, and it’s hard to view them entirely dark terms when you consider the necessity of what they did. In any case, although it was a large and vibrant movement, I’m not sure we lost much when gnosticism disappeared — it strikes me as the regrettable dualism in Greek thought taken to an extreme. But that’s another topic. Fast-forwarding to today, our dilemma isn’t all that different. If we want Christianity to survive, we have to say that it affirms some minimal number of beliefs and practices. That means we either have to rigorously defend a Tradition; or else we have to argue that the Holy Spirit was active in multiple places (even outside the ‘one true church,’ whatever we think that is). If we believe the latter, then discussion of a paleo-orthodoxy is possible and valuable. It means an exercise of power to be sure. But it does introduce a productive discussion about how to create a vital and living dynamism between past and present, and between our different traditions. Might as well meet the question head-on, rather than attempting to skirt it. That is a dilemma. Cain murders Abel, but we can’t bring back Abel, or stop Cain after the fact. And yeah, “what to raise your kids as” is an enormously practical point which does not admit of very many hypotheticals. “Gnosticism” is a category whose usage is hotly debated. Groups that use the term “gnosis” are a mixed lot (and include St. Paul! ), which may or may not even belong to the same religion. Some see it as a recurring type rather than a historical movement (and would argue over whether it is “dualistic”–at least, moreso than Christianity–and if so, which kind of dualism it is). I mention it because I dimly recall some heresiologist complaining that some of them allowed women priests, and rotated priestly functions from week to week–practices which the “ancient future” folks would surely rule out. And you don’t think an appeal to a hypothetical “Jesus movement” is also an attempt to manufacture nostalgia? Oh, if only we could go back to the pure true source as it was before the 5th/4th/3rd/2nd century church went off the rails! I agree with Chaplain Mike’s point that no, you don’t have to become Catholic or Orthodox, but you do have to engage with the preceding 1.900 years of Christianity that existed before Pastor Jeremiah J. Jones founded his first church in Little Nowheresville in 1889. A lot of old heresies keep cropping up as ‘the next new thing’ and it’s very easy to mistake going down the wrong path for ‘the new thing the Spirit is doing’. Thanks, Louis. I also dislike the opposite reaction, where there’s (for instance) a lot of sneering about the “Novus Ordo” Mass and the simplistic solution is that all our problems will be solved if only we bring back the maniple! Thing is, you can take a look at how there have been developments and say “Yes, these are developments and they are not core essentials.” Nothing wrong with that. But you also have to acknowledge that we are living in the year of Our Lord 2010 and not 80, and that makes a difference. Any organisation that’s been around is going to have gone through changes and adaptations and had to develop new methods of dealing with problems that cropped up. That jibe about Popes grabbing politicial power – well, yes. And really the loss of the Papal States and the temporal power of the Papacy (with all due respect to popes like Leo XIII) is not really all that bad of a thing. But how did it come about that the Pope became a ruler as well as a spiritual head? The collapse of the Western Empire, after the Emperor and the seat of rule had shifted to Constantinople, the continuing invasions by barbarian tribes, the power vacuum that resulted when the only international organisation that had any working chain of command and universal authority was the Church, so the responsibilities for record-keeping, charitable aid, hospitals and what have you that would have been the purview of government fell by default to the hierarchy had a great deal to do with it. Why was it that Pope Leo I was one of the three envoys sent by the Emperor to meet Attila the Hun outside the gates of Rome? That has to involve some recognition of being a representative and possessor of lawful authority. I’m glad you mentioned this, Martha. I’m getting tired of hearing the word “imperial” used to decry the development of Christianity, as if the influence of Constantine and even of Byzantium was universal throughout the church. Two centuries after Constantine, the western equivalent of the Hagia Sophia was an Irish stone beehive hut. The “imperial” effect on eastern Christianity was great, but in the West it was diluted by the Dark Ages. As you mentioned, Christian authority filled the gap left by political collapse, but the way that authority developed was very different from the imperial authority in the East. It’s just sloppy thinking to chart a straight course from fourth-century Constantinople to today. 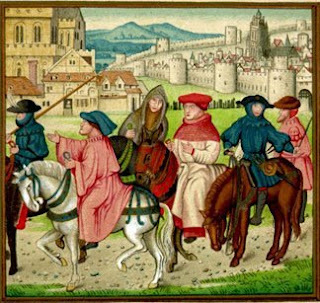 While the Eastern Rites grew in pomp and theology and elaboration under the protection of the Emperor in Constantinople, Churchmen in the West found themselves having to act as secular authorities as well as spiritual — the only “lawful authority” left in what was basically a Road Warrior situation. Survival trumps elaborate liturgy and theology. I agree with Chaplain Mikeâ€™s point that no, you donâ€™t have to become Catholic or Orthodox, but you do have to engage with the preceding 1.900 years of Christianity that existed before Pastor Jeremiah J. Jones founded his first church in Little Nowheresville in 1889. And billed it as “Founded by Jesus Christ in 33 AD”. A lot of old heresies keep cropping up as â€˜the next new thingâ€™ and itâ€™s very easy to mistake going down the wrong path for â€˜the new thing the Spirit is doingâ€™. It does constantly amaze me how some ‘radical’, ‘innovative’, thinker comes along who is breathlessly puffed by the media as going to challenge global Christianity with amazing new ideas that will revolutionise how we think about religion and finally give us a faith for the (19th/20th/21st/delete as applicable) century – and when you dig into what he is saying, it turns out to be some form of Arianism, Adoptionism, or good old 57-varieties-Gnosticism. If that is genuinely a statement by Fr. Edwards and not the paper’s gloss on helpfully explaining weird Christian beliefs for its readers, then I think his cosmology is as out to lunch as his theology. Tsk! I’m only surprised they didn’t drag Teilhard de Chardin into it! According to my writing partner, those are also the last five words of dialogue in the genetic-engineering horror movie Splice. I didn’t mean it that way. It would be very difficult, and I think ultimately undesirable, for us to imitate the praxis or ideology of the Jesus movement. For one thing, it would be hard to make it make sense outside of Second Temple Judaism. For another, Jesus and his group seem to have believed a lot of crazy stuff (exorcisms, apocalypticism, etc.). Ooooh… getting into deep waters here, Buford. Do I take it that you don’t believe in possession by evil spirits? Are we saying that Jesus was mistaken in his (as opposed to His) view of the end of the world? I’m going to stand back and let you field these ones. No, I don’t believe in demonic possession, thoughI do accept that Jesus practiced it. He was a man of his times, not an omniscient superhero. I’m not sure what Jesus thought about the end of the world, but he could very well have been wrong about that too. Everything in theology appears to be a reaction to what is going on now. So the Jesus people of the 70s were reacting to a stodgy form of religion that had failed to touch many of them. But the Jesus people were a little outre so there was an attempt to shine them up and make them respectable, so a lurch the other way back to stodgy religion (but new and improved), then the Seeker movement was a response to the fact that people were walking away from the Christian church indifferent. And in an attempt to appeal to people, an attempt was made to broaden the church and hone off the sharp edges so it could be more appealing. Now a reaction is setting in that wants a religion with meat on its bones. Really this progression isn’t unique to Christianity. I can’t imagine a religion that doesn’t experience this. Certainly Reform Judaism has, and so has Conservative Judaism. Even Orthodox Judaism has its neo-Orthodoxy movement. The Catholicism I liked as a child with its deep roots in Rationalism seems now to be supplanted by a faith lurching toward mysticism. Of course it’s always had both and it seems like it just lurches from one side to another continually. To Chaplain Mike… I say a hearty “Amen”! Well articulated; clear, concise, and cogent. I agree with everything you said here, Chaplain Mike! great post! This is very important to me. When I go to mid-night Mass at the Anglican Church, I spend a lot of time looking at all the gold & silver & wondering how much everything cost. I love Richard Foster’s call for “blessed Simplicity”. At least after the young Francis robbed his father of goods to rebuild a church! I’m sorry to hear that, Greg. . . I was thinking something similar, Danielle. That is, there’s a Monastic strain of the Great Tradition that has historically been a counter-balance within the Church to bring it back toward a simpler way when things get excessive. I’m currently in the beginning of the discernment process toward ordination in an ACNA parish. Something I’ve decided is that whether I’ll be paying for my vestments or whether they’d be purchased by the church, I’m committed to simple, inexpensive vestments. There’s no reason in my opinion to spend $1,000 on a dalmatic or surplice. And with your simple and inexpensive vestments, you make a statement. Wouldn’t it be a kicker if you knew enough about tailoring to MAKE your own vestments with your own two hands? And enough about wood/metalworking to make your own altar plate? Or commission them from some hand-craftsman that needed the work? That too would make a statement. Late reply to this – but I allowed myself the joy of making my ordination stole after 5 long years in seminary; when the Bishop placed it over my head on that amazing day…well, it was a very special blessing. My little Lutheran church is pretty Traditional, but quite relaxed about it. Gathering, Word, Meal, Sending – we try to honor the long and oft-tested traditions of the Church, while making them as relevant to current situation, our time and context, as we can. Remembering who Christ is, and how we make him known to our neighbors, is what we try to focus on. I would hardly call the Ancient-Future movement faddish, manufactured, or political. I call it maturation. I’ve said it before, and I’ll say it again…I’ve worked for years with pastors who considered Billy Graham a “church father”, and if you met one who knew who Billy Sunday was…Jackpot! I currently lead a small group of folks who spent most of their lives in “contemporary” churches based solely on the pastor’s musical preferences, and in order to build unity, we’ve been reading according to the lectionary in the Book of Common Prayer, and participating in fixed hour prayer. What I’m discovering is that several of our folks are completely excited, because they’ve never been challenged to really examine scripture, or develop a disciplined prayer life…then some are confused…one told me that she’s never seen a Bible reading plan, and she doesn’t understand why you would read OT and NT on the same day! This is a person who has been in “Spirit-led”, “contemporary” churches her entire life! I don’t hold a grudge against any form of church…as long as we have good doctrine, I don’t think that God is offended by different methods of delivery. But there are folks out there looking for and needing more depth. Personally, I’ve found that in ancient practices. Others may find that in a different setting. Just don’t build your doctrine and practice around musical tastes. Build your music program around sound doctrine and good spiritual practice. It was the Daily Office prayers that really started me actively walking down the Ancient-Future path (though I had been reading about it and stuff for a while before that). I’d say that it’s the Daily Office prayers and its lectionary that really is my main regular nourishment on the path (though the Eucharist with the Community is of course of extreme importance. It’s just not the daily nourishment). Agreed. I had actually purchased a Book of Common Prayer, and was doing devotions for individuals and families, along with following the lectionary, before I had ever even visited an Anglican church. Episcopal oversight – I can’t tell you how often I’ve seen pastors fumble through money management, church discipline, and difficult decisions pretty much on their own, for the sake of being independent and self-governing. Word and Table-Centered worship – How many of us have had complaining calls about music? Need I say more? If we center our worship on music, then our congregations will focus on the music. Center worship on the Word, and the listeners will center on the word. Sound doctrine/liberty in non-essentials – our group is made of former/present Baptists, Pentecostals, Calvinists, Arminians, etc…and we seem to get along pretty well, as long as we focus on the essential…The Word of God. Appreciation of History – Studying church history has been energizing for our small group, because it’s brand new to them! Not everyone likes a classroom, but everyone enjoys learning something they didn’t know before. Again, I hope no one thinks by my comments that I believe the path God has set me on is the only correct way. Some people are drawn to Christ through other means, and I can appreciate that. Very well said! Also, what an interesting small group you have. I would have loved to attend something like this a few years ago. You’re discovering what we Catholics call The Liturgy of the Hours, or the Breviary. Just you’re using the Anglican version of it in the BCP. Mike, thanks for this excellent and enlightening discourse on the Ancient Future perspective. I’ve been taking the Ancient Future path to one degree or another for about 15 years now and never knew there was a name for it. I’d heard of “Paleo-Orthodoxy” but I felt it a bit pretentious to go around calling myself “Paleo-Orthodox” since my interest in the “ancient” is more aesthetic than theological. This broader interpretation of the pull that some of us feel toward the past seems accurate. I’m really surprised that it’s turning out to be so controversial. I’ve always taken it for granted that Christianity is a historical religion and that a full Christian life requires appreciation of the works and words of those who came before us. Thanks for the link! I’m not unaware of the ancient perspective on theology, I just don’t happen to have a great level of intellectual commitment to it – Christus Victor is a good example of why, that model of the atonement was very much in fashion during the Word Faith controversy several years ago, and I never really warmed to it. But your advice is well-taken. Thanks for the referral, Isaac. I would also add that there is a wealth of material on the internet with regard to reading the Early church fathers. Many texts are in the public domain, and one could get a pretty good education in patristics without ever having to buy a book. I have to say, some of these comments are heartbreaking to me. I was raised in a contemporary, evangelical church, but have decided to convert to Roman Catholicism; so I read this, and it’s like seeing my own thoughts. The discovery of liturgy, of Sacrament, of the older ways, was revelatory to me. It was a homecoming of sorts. It felt as though the faith that had been hinted at all my life was suddenly here in its fullness. So this article, and the AF focus this whole week, has been wonderful for me to read. …And then I scrolled down to the comments. Good Lord. Did I read a different article? Thanks very much for this piece, and for all the stuff this week. It’s been an immense comfort to me. Maybe that’s the problem these days. You went from a screwed up evangelical church to a screwed up Roman Catholic one. Now you’re looking for affirmation of your latest decision. My tendency is to feel as though the evangelical church I’m at is failing its purpose, then I read some Calvin and feel comforted, when in reality I’m not. That’s a very unkind, not to say damned arrogant and uncharitable statement to make, Ron, and revelas more about you than about Michael. Sorry I’m not into the ecumenical harmony. The nature of this blog is about questioning and sometimes indicting the mess that man has created in the name of Jesus Christ. Michael Spencer said some very “unkind” things that I believe were spot on. I had disagreements with him at times, but I always respected his intent and courage. I’m sorry, but Michael’s post reeked of seeking self-affirmation, and can’t handle that people here are disgusted with the state of the Western church be it Evangelical or Roman Catholic. RonN – No, it’s not ecumenical harmony – I’m Lutheran, and as such I’m per defintion not in harmony with the Roman Church. However, your remarks are unwarranted personal attacks. Affirmation for my latest decision, eh? Am I constantly changing my mind, going back and forth, making contradictory decisions and pleadingly hoping that someone on the Internet will make me feel better about the flavor of the week? I was born into the evangelical church, and have decided to convert to the RCC. One decision. And you want things that are unkind but true, and don’t reek of self-affirmation? Well how’s this: the evangelical “church” has arrogantly chosen to cut itself off from all but 200ish years of Christianity (90% for you non-math people). It has chosen worship forms which are largely exercises in emotional masturbation, and mostly with no criteria other than preference. In art, music, theology, and worship, it has chosen trite, simplistic inferiority across the board. I have spent a few years trying to explain this to people, and I have had enough of banging my head against the wall. So after a long time of reading, thinking, and praying, I’m off to Rome, and gladly. But you can’t say things like that to people in your life who don’t understand. In converting to the RCC, I have disappointed my parents, and I have struggled to explain my decision to them. This post, along with several other posts this week, have put into words so much of what I have attempted to say to them (and everyone I have talked to about this), and done so far more eloquently and persuasively than I could ever hope to. And the speed with which the comments became contrarian surprised me, because I genuinely couldn’t see anything to argue with; and they disappointed me very much, because if the immediate response to such non-threatening eloquence is to pick a fight, will my parents do the same if I present this series to them in the hopes of explaining the conclusions I’ve arrived at? So maybe you think I’m looking for self-affirmation from the comments section of blog post, but I’m actually just hoping to be able to talk to my parents about aspects of Christianity that are dear to my heart without enduring days of extended silence in response. This blog is the best for Catholic -Protestant dialogue I’ve found anywhere on the net. Occasionally comments are hurtful, mean or uninformed. I’ve made a few myself. But continue in joy and welcome home. I made the same journey that you are on, and wish you the very best. It wasn’t easy for me either. My stepmother never knew that I had reconciled myself to the Catholic Church. Partly because she died just over a year after that, and we were separated by about 2/3 of the country. But, this is for your hope, and for all who are on the journey. Our last Christmas together, she picked up on the fact that I was at greater peace with myself. As a former Catholic dissolutioned with both the Evangelical and Roman Catholic churches I’ll speak as someone who understands the the draw to Roman Catholicism. My appeal to you is to realize that the Roman Catholic church is anything but what you seem to perceive or what it claims to be. God’s word is supreme. As much as any of you migrating to the Catholic church for its ancient Traditions or appeal as being true, my point is that it is surely a construct of mans desire to “appoint” sources of authority other than God’s word. It may feel wonderful to you (as you came out of an ill evangelical setting), but do not be fooled. By the way Louis, my attacks are intended to be against the lies perpetrated by the evangelical and Roman Catholic churches. I’d prefer to say I’m throwing a bucket of cold water on Michael’s head. Do you have humility within yourself to accept that there is a possibility that you just may be wrong about your opinion about the catholic church…perhaps just a wee bit wrong??? Or, are you so stubbornly firm in your opinions that you won’t even take an ounce of a stance of humilty before God to consider if anywhere you are wrong??? You don’t have to be a catholic, like catholism nor want to associate with anything close to catholic. However, to hold the position that you know the total truth about something and have nothing to learn and that what you think is in no way wrong….is a position of pride. God’s light can’t enter such a position…it’s like building a wall of your own choosing not wanting to see what may be on the other side. How would you respond if the Spirit of God asks you one day why you speak so harshly against this catholic “garden” of His, and the types of flowers He wants in it, the colors He wants. Garden used as an anology to try to give a visual. No church is perfect.none. and there never will be a perfect church this side of heaven because they are ALL made up of sinners with a broken human nature. We didn’t know we where on this path, we where just tired of shallow worship services or ones that changed because someone got a wild hair (heard in one service: “We are mixing this up to show that we are free”, to which I thought “and clueless” because they stopped the praise singing midway for a meet and greet, ummmm yeah, that filled me with reverence…). Thank you for all that you do, this week has opened my eyes. We’ve been searching high and low to find a service that’s taken seriously, with reverence and dedication, and a body of believers dedicated to understanding their faith. We couldn’t abide some of the RCC theology but we *loved* their service, and talk about going to mass mid week, but we are still searching and I fear that we will for a long time yet. As we prepare to attend a Lutheran service this weekend we are again hopeful that we can find a place to finally call home and stop all this searching. The AF idea is just “A” path to spirituality and community, not “THE” path. I am satisfied with where I am at after almost 40 years as a believer, having come out of the Catholic experience and gone thru Pentecostalism, followed by a more sedate Nazarene experience. Occasionally I yearn for a more “ancient” type of respect for the liturgy and tradition but a short visit to a local Catholic Church cures me of that. I see the AF yearning as just that, a yearning for something more traditional after experiencing the worst of modern evangelicalism which tends to trivialize the Body of Christ and the proper “worship” of the Savior. Also, the acknowledgment of God the Father seems to be missing at times in favor of a more emotion based featuring of Christ as a loving Savior as opposed to the one who will judge the nations. And that too was probably a naked exercise of power by the person who wrote the Gospel and the Church that authorized the Canon. Did you ever notice that this can be read in two ways? (1) Accept Jesus, or burn. (2) Anyone who approaches God (even a Hare Krishna) is really doing so through Jesus Christ. Thank you Chaplain Mike for posting your understanding of the Ancient-Future path. This too has been my journey. My own faith journey began as a young Marine in a small charismatic church in Okinawa Japan, then an Evangelical Free Church in Colorado. Next I attended a Conservative Baptist Seminary. I finally landed in The Wesleyan Church in 1989. Definite thanks to CM for the series, and thanks as well for giving us a forum where we can discuss. I’ve been reading IM for about 6 months now, and it’s great to find folks who are on similar journeys as myself. Mike, thank you so much for taking the time to write this post. I think it helps to clarify what AF does and does not mean. And I completely agree that all churches have a liturgy, whether they recognize it or not. I wonder, though, if most evangelical churches today would subscribe to the “revivalist litrugy” you describe. That certainly is not how i seek to structure worship services, though I would also not describe our services as “word and sacrament”. Dan, it has been interesting to me to see that in many evangelical churches, leaders have not quite known what to do with the ending of the service since abandoning the altar call. The churches I’ve been involved with have been known more as “teaching” churches. Everything still leads up to the sermon, as in the revivalist form, but then . . . what? I’ve been to services where they’ve ended with a hymn to “seal” the message on people’s hearts, services where the pastor closed with prayer and that was it, services where there was some effort to have a “season” of response through songs and other elements, and services where the sermon was followed by a discussion time (smaller congregation) or a move into smaller groups to discuss the sermon. I have never found any of these very satisfactory, at least not as satisfactory as coming to the Table each week to receive a tangible symbol of the grace we heard about in the Word read and proclaimed. Our Lutheran church doesn’t have communion every Sunday. When we don’t, we just have offering, Prayers of the People and Lord’s Prayer, followed by closing hymn. I know what you mean. In some ways, I’m glad for no longer having long drawn out altar calls. At the same time, there seems to be an awkward sense of closure to revivalist style churches that no longer practice them. It’s like when you go to a concert and you are wondering whether the show is over or is there another encore. Except the leadership seems to feel just as ill at ease as the congregants. Daniel, I’ve been wanting to ask for a while: Is that a picture of Rasputin? I realize this is off-topic . . . Yes. I’ve always been fascinated by the mad monk. Or he’s just messing with readers’ minds. Great, now I’ve got the Boney M song stuck in my head. Also, I am remembering the Hammer film version done with Christopher Lee in the lead – “Rasputin: The Mad Monk”. Good film, great performance by Lee, but how historically accurate? Considering it was Hammer Horror, probably not very. All excellent clarifications. Thank you for this. It strikes me as interesting that the post & comments related to the first AF post centered around the music stylings and today it seems that in the clarification on the definition of the AF path that each of the individuals referenced as examples were reaching into a part of a particular tradition that either they preferred or that seemed to help them in their walk. It sounds like nothing different than what many believers do today; ie, pick and choose what they prefer or what works for them as contrasted with what the particular groups they fellowship with (if they still do) does. Then the comments seem to fall back into the old debate over who is right and seem to miss the point of the post in the process. Steve, It is important to stress that we are talking about a PATH here. I don’t think anyone knows where it is leading ultimately. I do not like a “cafeteria” approach, and that is not what I am suggesting here. For many of us, however, in the process of learning, we must look at a variety of traditions and practices in order to understand what even the path is all about. Here's a question I've wondered about for a long time. What does it "sound like" when people truly humble themselves and accept a standard from outside themselves because they objectively perceive it as better? How does that appear different from occasions when people only pick and choose according to their subjective whim? When a driver drives the speed limit, we accept that he is probably reining in his natural urges and doing what the law demands. When a person on an escalator stands to the right so people in a bigger hurry can walk up on the left we don't doubt that he is acting according to an external code. But when a person chooses a nobler spiritual path (which may well be uncomfortable for him) nine times out of ten everyone will say its just a matter of taste. Great, succint post. I’ve printed this one off to discuss with my wife, and older children. I, like others, did not realize on was on any “path” for years. I bought a BCP because I wanted something deeper than me for funeral services…I found myself turning to it more and more as I structured worship. A year in Iraq totally changed my prayer life. I knew not what to pray so often that a “pre-written” prayer became essential. I compiled my own from several sources, and revised it as I went. Now I’m on the “daily prayers” of the BCP. It’s an interesting journey. I’m glad there are others on the path to walk with. The BCP is pretty much the Anglican Missal and Breviary. Chaplain Mike, believe it or not I believe you said it all, I am left with no other words than Bravo! All kidding aside, wonderful post. I haven’t the time to read the responses (which may provide me with some “words” of response…) but I wanted to at least thank you for all the time and effort and heart that went into this post. The Body of Christ throughout the world, knowing you or not, is blessed by God’s gift of you to the world. The Liturgies of the historical churches — Western or Eastern — started for a reason. And they lasted through the centuries for a reason. I think Chesterton called tradition “the democracy of the dead,” although I’d have to look it up to be sure of the exact phrasing. Brilliant man. Am I on moderation watch? Or is it just this blog post? C.S. Lewis & Chesterton were my first taste of the idea of an Ancient “Mere” Christianity. Both men loved George MacDonald who Chesterton thought his Theology would be the beginning of the re-connection of the protestant & Catholic faiths. Just like Islamic Culture Warriors (like the Salafi and Talibani) are trying to force everything back to a mythologized Year One of the Hegira, so a lot of Christian Culture Warriors try to force things back to a mythologized Godly Golden Age of The 1950s. And both mythological Pure Paradises all too easily become like the French Revolution’s mythological “Republique of Perfect Virtue,” always beckoning from the other side of the “regrettable but necessary” Reign of Terror. So I guess you must think that Quakerism is bunk, then…? But sacrifices to Chemosh would be just the thing to warm our ancestors’ hearts. I attended Quaker meetings for many years. I loved the silence and still do. Quakers are not liturgical, but they are very traditional. They hold fast to the heritage of George Fox, John Woolman, and others. Interestingly, though, I know many Quakers, and am related to some of them, who express vociferously that they are Quaker NOT Christian. They don’t see this as a contradiction, although they strive to follow their spiritual ancestors in the areas of social justice, pacifism, etc. Assuming the “matriarchal cultures of five or ten thousand years ago” are not themselves a modern myth of a Feminist Golden Age Paradise. Simply trading older men’s traditions for newer ones seems an awful way to live out the kingdom and experience koinonia. It does sound “cool” though and thus a new thing that distracts us from real life in Jesus. If one hasn’t personally experienced something, and experienced it with the knowledge of the meaning of what is being experienced, and embraced it with an active participation from within their heart and soul then, I would question how they can come to the conclusion that something has no value, provides something “awful” to one’s life and distracts one from real life in Jesus. Saying something and believing something based on what one hears or learns from outside one’s self is not a good way to judge whether a person’s relationship with Jesus can grow and deepen through a particular form of worship. Also, someone can experience something more “traditional” with no actual understanding of what is happening around them and yet be open to whatever graces God has ready for them to receive and they will receive. Yet, another in the same position, if closed hearted, closed minded and not open to God’s presence, they will not receive whatever graces God has ready for them. I have experienced very traditional forms of worship that are Christ centered, filled with scripture readings, scriptural prayer and song, and my relationship with God has flourished, grown and deepened. None of it has ever distracted me from Jesus because it all points to Jesus. My life in Jesus has always been real. I have also experienced current evangelical worship that was prayerful, God centered and genuine yet had no trace of “old traditions” . The music was contemporary yet played in such a way that it allowed one to enter into prayer and God’s presence. Not in a “feeling” kind of way but a very real way. prayerful. The spiritual benefits I always received was the practice of patient love, patient endurance and because my prayer life was real I could then center myself in God’s presence within and quietly praise Him and love Him there. One knows when praise and worship and prayer have been authentic by how they live once they leave a service. They should be changed, more loving, more forgiving, more selfless etc., more Christlike; not perfect, still sinful, but more like Jesus. It one’s life is truly Christ centered their love for God will be revealed by the way they love all those that cross their path more and more like Jesus would. Is that really what you got out of this post? As someone in a non-denominational mega-church, I still walk the ancient-future/paleo-orthodox journey. Since no church nor denomination is perfect, yet most bring strengths to the table (including the non-denom/mega), I will express the value of the ancient/paleo element in my given context. I should do no less. Through teaching and/or contribution to small group/Sunday school discussions. Opening up about what are considered “essentials”, and what are secondary issues, can provide opportunities to look at the historic church, and where the Evangelical fits into that story. Likewise, personal spiritual disciplines that incorporate various aspects of the historic faith and be practiced, all while remaining within one’s current church, and without necessarily departing from the beliefs of that church. Judging by this and other posts, it seems that naming an idea (like “ancient-future”) really attracts the critics. Maybe people ought to just go with their ideas and not label them, as if they were some sort of movement or even denomination. Thanks so much for your post Mike! I often wrestle with this stuff, wondering if today’s church (churches) are ever what Christ intended them to be. It is so easy to accept what you were always told was true. I grew up going to non-denominational churches, but I still felt like questioning the church was often discouraged. Like you Mike, I think getting down to the roots is a step in the right direction to avoid subscribing to something man-made, whatever form that may come in.